The Property is Under Contract and we will adjust status once funds are received. Immaculate 2 bedroom condo in popular Selwyn Commons. Freshly painted top floor unit with hardwoods throughout the main living area. Beautiful French style courtyard and pool are included in your HOA, along with internet, secure buildings, water and sewer! 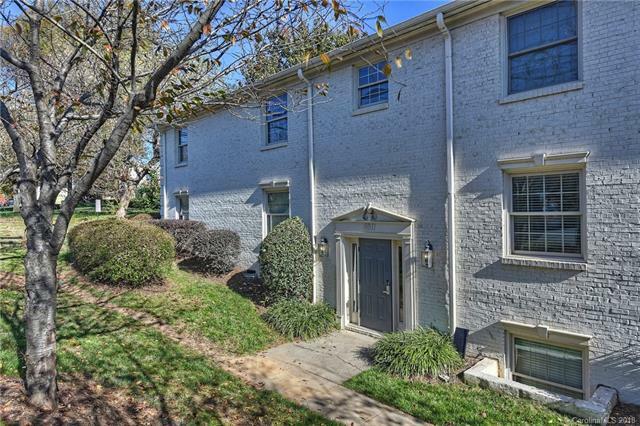 All of this and a fantastic location, within walking distance to all things Montford and Park Road Shopping Center! Unit has a separate washer/dryer which is vented outside vs the original combo unit. Sold by Keller Williams Fort Mill. Offered by Savvy + Co Real Estate. Copyright 2019 Carolina Multiple Listing Services. All rights reserved. The data relating to real estate on this Web site derive in part from the Carolina Multiple Listing Services, Inc. IDX program. Brokers make an effort to deliver accurate information, but buyers should independently verify any information on which they will rely in a transaction. All properties are subject to prior sale, change or withdrawal. Neither Keller Williams South Park nor any listing broker shall be responsible for any typographical errors, misinformation, or misprints, and they shall be held totally harmless from any damages arising from reliance upon this data. This data is provided exclusively for consumers' personal, non-commercial use and may not be used for any purpose other than to identify prospective properties they may be interested in purchasing. © 2019 Carolina Multiple Listing Services, Inc. Data last updated 2019-04-21T11:58:35.583.